Good location. They switched our room on us and refunded the difference which was nice. The beds were comfortable and the linens were clean. Staff was nice. The staff were incredibly helpful and caring. They provided eggs, toast, water and coffee in the morning which was perfect for a backpacker needing a quick breakfast and water fill up before starting the day. There is also a beautiful terrace that overlooks the city being a nice place to hang out, drink rum, have morning coffee or play cards with friends. Safety-wise, the establishment is on a second floor with only a stairwell for access which is watched 100% of the day and locked via steel door at night. Overall, a comfortable, safe and fantastic stay, especially for the price! Coffee with real cream in AM with toast and jam. AC. A refrigerator in room. Staff were extremely nice and helpful. Great location. May not look like much, but the staff at the hotel were so nice I would not stay anywhere else. Comfortable bed and good aircon. Central location - could walk to bus stop in only a minute or two. Plenty of shops restaurants and bars nearby. Staff friendly and helpful. 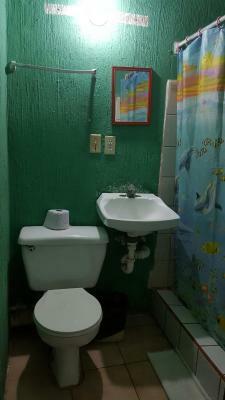 Rosa's Hotel offers accommodations in San Ignacio. Free WiFi is featured throughout the property. Each air-conditioned room has a flat-screen TV. When would you like to stay at Rosa's Hotel? 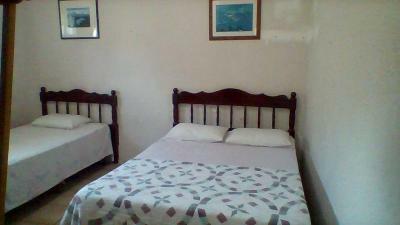 This double room features a cable TV, air conditioning and tile/marble floor. There is a hot and cold bath and free WiFi can be accessed in the room. House Rules Rosa's Hotel takes special requests – add in the next step! The noise! So across the road are a record bar and a shop and both start cranking the music extremely loud from 8am both days I stayed here. The bar downstairs had no-one in it they were not busy at all but they crank the music very loud until late. There is a nightclub next door which is fairly loud, but reception advised us of that and we didn’t have an issue with it. Although its location was very convenient, it was right next to a bar/nightclub, and you could hear music coming from it till about 1am. Not really a problem for me (I always travel with earplugs! ), but worth knowing if you like an early night, or have an early bus to catch. It's very run down. Not like the pictures at all. No hot water. A luggage shelf/table/stand would be helpful. I used the bedside table but would Iike both. Hard boiled eggs might be better as no one cooked their own, though provided.